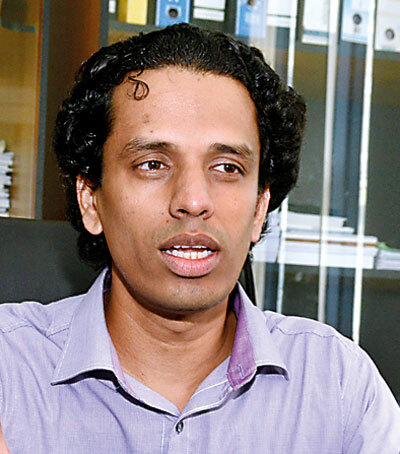 CROSS-EYED IN KATUBEDDA: It is the final semester and there is an air of anticipation among the mechanical engineering Class of 2018 at the University of Moratuwa as they put the last few touches to their exhibits while waiting for the invitees from 35 companies in both the state and private sector. Impress anyone and you are assured of a lucrative job. The stakes are high for the 32 teams of fourth-year students, totalling 120, as MechX-2018, an exhibition of talent and ingenuity which showcased some of the best young minds the country has got underway last Tuesday. “These are all students in their fourth and final year and they have all undertaken projects in areas which are relevant to the country’s development today,” says Dr. Ruwan Gopura, proud department head of Mechanical Engineering at the Katubedda campus. I’m easily impressed with the effort and thought which has gone into these projects. I remember making a kite when I was young, but somehow, I got the aerodynamics wrong and I never got to “go fly a kite”. So, I’m easily impressed. But really, a walk through the large halls where esoteric exhibits are displayed leaves me awestruck – a cooling system to increase the efficiency of your solar panels, an underwater dredger to help remove silt in our lakes (and make sure not a drop of rain is wasted and help alleviate drought), automated bricklaying are some of the most practical projects at first glance. Hashan Prabuditha sits in an electric wheelchair with his head covered with a soft rubber skull cap full of prickly electrodes. He reminds me of Denzel Washington’s character Lincoln Rhyme in The Bone Collector, a quadriplegic homicide detective who solves the murder using technology through his barely moving fingertips. In this case, it is the movement of the eye which helps control and move the wheelchair. Along with his teammates Induwara Munasinghe and Nithina Sahan, Hashan demonstrates. Due to the cost factor, it is just the muscle movement of the eye with a higher quality amplifier, they could get the wheelchair to move by signals from the brain. But that costs nine million rupees. They have gone with a simpler amplifier costing only 100,000 rupees. But with money, they can upgrade. The idea and system are in place. Chamath Madushan and his team have got an inhaler which helps asthma patients. They have improved the performance of three common inhalers available in the market while also reducing manufacturing costs. This device optimizes medication with each breath, ideal for older asthmatics as well as the very young. We are quite breathless by all the exhibits on show. 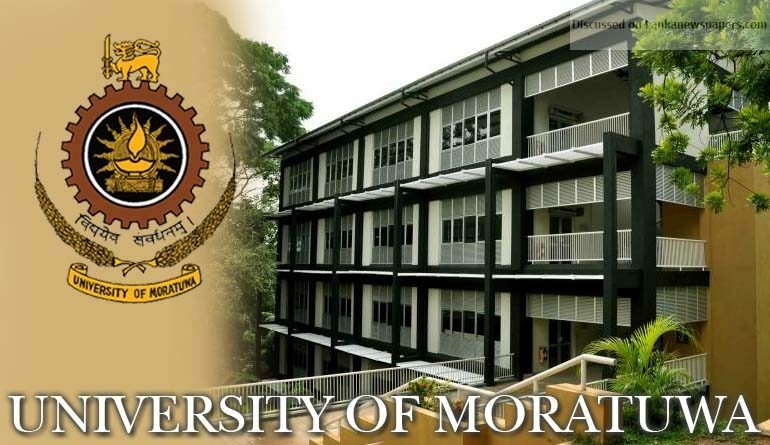 Every year, the University Grants Commission gives the nod to 950 students to join the University of Moratuwa, which is the country’s top depository for engineering degrees. Everything from electrical to mechanical is on offer, a range of almost a dozen degrees. This year a business faculty was also opened and in 2019, a medical faculty will also be opened. After the first semester, students who are pursuing an engineering degree get the opportunity to specialise in their field of choice. Dr. Gopura, himself a graduate of this university, says the most popular choice is electronics engineering. 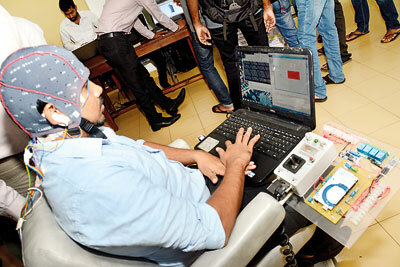 “Mechanical engineering comes around the midway mark among the students. We have had this faculty ever since the university opened in 1972,” adds Dr. Gopura who joined in 2010 after obtaining his Phd from Japan. He has been head of the department for just 10 months. He diplomatically refuses to tell us which of the 32 exhibits we should look closely at, not wanting to seem as if it favouring anyone. So the photographer and I have to wend our way around. Amashi Weerasingha comes from Matugama. She is the leader of the team which has built a robotic exoskeleton which can help people with mobility disorders. “We did some research and found out that nearly 10 per cent of the world’s population are elderly and due to both neurological and muscular reasons they have mobility disorders. Our project which took us seven months and cost 180,000 rupees focuses on the ankle. This is ideal for rehabilitation and locomotion purposes helping paralysed people regain mobility,” explains Amashi. Perhaps they should have had Kylie Minogue singing ‘Do The Locomotion’ in the background, I can’t help thinking. 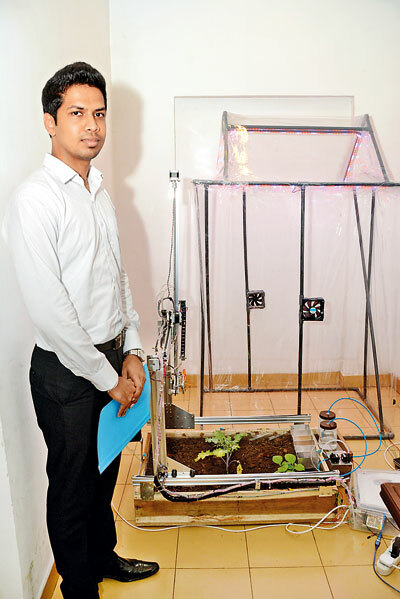 Shithira Weeratunga decided that he would build something that would help agriculture, but not on vast tracts of land rather on the balcony of your high-rise apartment. “Lots of people are now living in urban apartments. What we have done is create a greenhouse which is two feet by three feet and which will fit into any balcony. If you have more space, we can make it bigger,” Shithira stressed. Brinjals, tomatoes and chillies are some of the vegetables that can be grown organically. And the best part is that you don’t even have to sweat over watering and fertilizing as everything is automatically programmed. You even get an SMS if there is a critical situation – perhaps the neighbour in the balcony next to yours trying to steal your brinjals. And all this for a cost of 80,000 rupees. The bigger the greenhouse, the lower the costs. 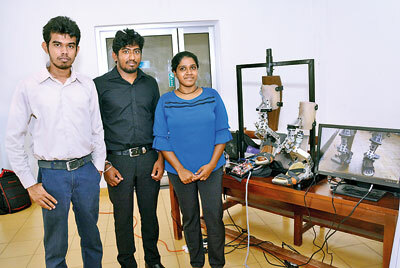 Malindu Nissanka and his pals have built a centipede-like robot to assist in search and rescue missions. Built with a camera which can send real time video pictures, the centipede is not only flexible but also has an undulating motion which makes it stable and able to move into tight and restrictive areas humans can’t reach. Another group has built surveillance robots which can move independently but work together to move objects in a static environment. Next is a robot with four fingerlike grippers, capable of picking up and holding a wide variety of objects. Ideal to bring you a beer from the fridge. We discover that there is only a 15 per cent efficiency in the solar panels used in most homes today. When the cell temperature of the panels goes up, the energy output (electricity) is reduced. But with a cooling system, as built by the enterprising graduates, the energy efficiency is raised by another five per cent. Quite a large amount according to Lahiru Karuriyapperuma and Sachitra Jayasiri. It is time to leave after a cup of tea and a piece of butter cake. No, there are no robots to serve us. As we make out exit, we come across a ping-pong ball shooting robot built for table tennis practice. With China’s growing presence in this country, no doubt this will be very useful. Hashan Prabuditha with the wheelchair which is moved with eye movement. But the best is saved or the last – a cricket boot with an in-sole which reduces stress and injuries to your feet. This is the brainwave of Aravinda Prabhaswara, G.D. Saranga and K. Piratheepan, all cricket fans. “Fast bowlers in their final stride have much difficulty in the toe area. You see some fast bowlers have cut their boot in front so the toe juts out. This is to relieve pressure on the toe because your foot slides forwards in the delivery stride. This results in black toe nails which hurts,” explained Aravinda. After an exhaustive questionnaire – the cricket team at the university as well as those at SSC – Aravinda and company developed a ridged in-sole which prevent the foot from sliding forward. It is 3-D printed and costs only Rs.18,000 . We ask if Sri Lanka Cricket has been informed of this product. Our mis-firing fast bowlers need all the help they can get and the University of Moratuwa’s mechanical engineers can give them a hand. Or is it foot? We leave cross-eyed with all these ideas buzzing in our head.